Did Warner Bros. Know Justice League Was Going to Bomb So Badly? The unofficially titled DCEU was setup with Zack Snyder's Batman v Superman in 2016, with the goal of getting the superhero packed Justice League into theaters. DC Films expanded with Suicide Squad, and coupled with the bad reviews for both that movie and Batman v Superman, the DC Cinematic Universe was off to a rocky start. But that all changed when Wonder Woman hit theaters last summer, exceeding expectations and becamong a critical and box office success, leading to some hope for Justice League. However, a new report suggests that Warner Bros. knew for quite a long time that Justice League was in trouble and would ultimately bomb no matter which version hit theaters. The new report states that Warner Bros. was aware that Justice League was going to fail, no matter who was in the director's chair. Not even Zack Snyder's mythical cut of the movie could have saved what was about to get put out for human consumption. The new report alleges that lack of faith in the material resulted in bad CGI and a truncated theatrical cut because Warner Bros. just wanted to get it out of the way, so they could instead focus on their next project. 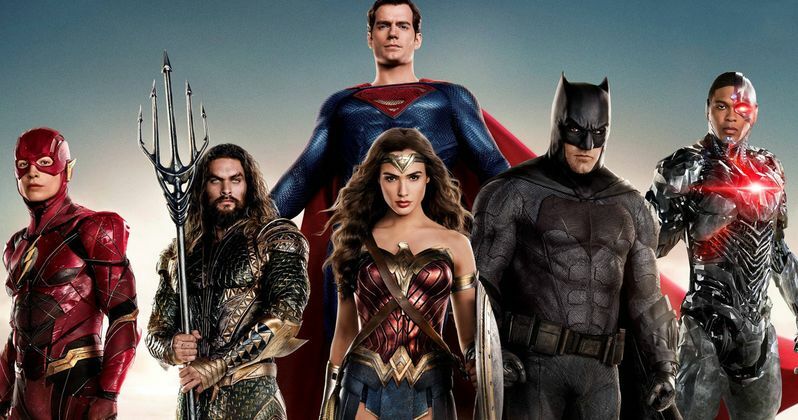 The decision was apparently made well before Justice League hit theaters that DC Films and Warner Bros. wanted to move away from the interconnected universe, but they decided to move forward with the movie anyway. This starts to make sense because the DC slate remains the same, despite the huge behind-the-scenes changes at Warner Bros., which leads one to believe that the studio will work on what has been previously announced in a manner that will focus on standalone movies. However, the report states that not even the studio knew that Justice League was going to tank as bad as it did. Aquaman, Shazam!, and Wonder Woman 2 are currently the only movies in the roster that have official release dates, but it's looking like the Flashpoint movie will take some big steps in tearing down what Batman v Superman and Justice League tried to build. The new movies will not go any further in trying to keep the interconnected universe together. Instead, the future will be standalone movies, which has been reported for months now. All of the new movies that are in-development will get their own respective teams to produce them and look over the quality control. This news comes from unconfirmed sources, so it's best to take it with a grain of salt. But, it makes a lot of sense. Rumors of the failure of Justice League sprung up well before the movie hit theaters and that's mainly because the general public was not interested in a sequel to Batman v Superman. Not even the success of Wonder Woman or rewrites and reshoots could save the movie and Warner Bros. more than likely knew this from the start. This report originally surfaced from Revenge of the Fans.